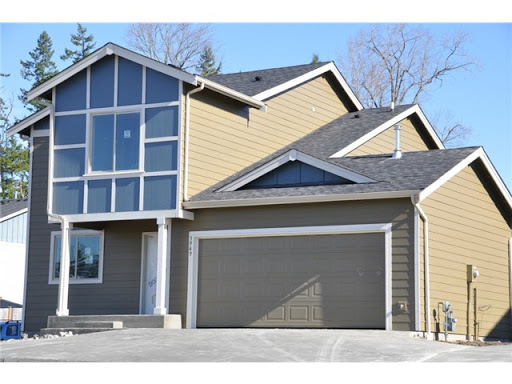 This quiet peaceful new neighborhood located off of Soper Hill Road and just in the Marysville city limits and in Lake Stevens School district is my pick of the week. Shasta Ridge residents enjoy a 1.5 acre park with full basketball court, play area, large NPGA, territorial views and located on a quiet dead end street. I love the mix of town-homes with great size yards that started last year at $157K but sold so quickly that prices have jumped up drastically ending the final phase of 3 different style homes at 178K. The high quality of Belmark service has just started the last phase of single family homes. These new homes have great size lots for new construction and they come with fully landscaped front and back yards! With a bedroom/ den on the main the Adams floor plan, for example is very open & spacious. 3bdrms, 2.5 bath’s, granite slab island & counters throughout (standard)! There will even be a few models larger with Daylight basements. 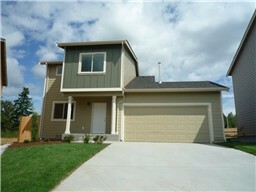 Currently these are priced at $254K and $257K and for a short time the builder will give 2% in a closing bonus! Interest rates just dropped again but prices are definitely on the rise. There are only 5 homes left so come take a look now while they are still available.